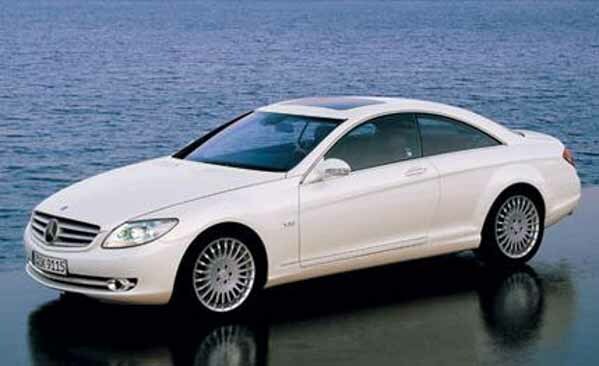 Automatic Mercedes-Benz CL 500 with 19 inch wheels, tuner/radio, power locks, brown interior, white exterior. White 2008 8 cylinder coupe. Beige interior. It has power locks and ABS. Automatic, 19 inch wheels, alarm, ride height control, beige interior, black exterior. White 2011 coupe for AED 115,000. Beige interior. It features MP3 interface, 20 inch wheels and air conditioning. Automatic Mercedes-Benz CL 55 AMG with 19 inch wheels, sport suspension, air conditioning, grey interior, white exterior. Automatic Mercedes-Benz CL 65 AMG with 20 inch wheels, sunroof, massaging seats, white on the outside, tan interior. Imported spec CL 550 from 2008 with a 8 cylinder engine. Grey/Silver coupe with black interior. It has fog lights and air conditioning. 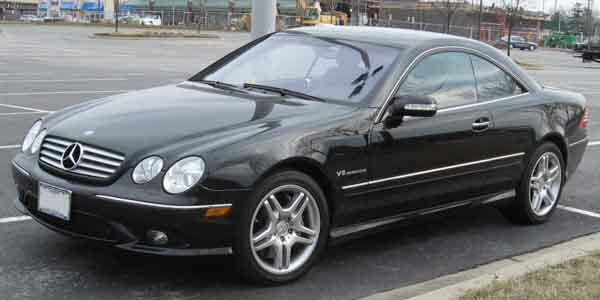 Automatic Mercedes-Benz CL 550 with 19 inch wheels, power windows, navigation system, black on the outside, black interior. Grey/Silver coupe, black on the inside with tuner/radio and airbags (front and side). 18″ wheels. 2007 Mercedes-Benz CL 600 with features such as bluetooth system, parking sensor rear, ABS. It has beige interior and is Black. Imported spec. Waleed - My import used CL63 AMG is incredible. The power has, the speed and it just looks so good. My only problem is that the engine is so powerful, yet the sound is so weak. Other than that, i’m still considering to export the car when I leave. Cons: Could make some noise. Rashid - I bought a pre-owned CL65 AMG in Dubai, and in my opinion, it’s the best car for the UAE. Ventilated seats, excellent A/C, navigation and it's very fast. I highly recommend these cars to buy. Amir - My second-hand CL 500 is an awesome car, excellent power from the engine but it can get a little thirsty at times. Other than that, I’ve had tiny problems with it since I got if for a good price. Cons: Not kind to one's wallet. Their presence alone is enough to make a statement anywhere you go. They’re based off of the S-Class meaning no luxury is spared to the interior or exterior for that matter. The range of powerful engines, sitting higher the food chain than CLK models only V8 and V12 engines are available. Sure they may get thirsty, but boy are they powerful. Rear legroom, that's right this coupe has four seats and enough leg rooms for grown adults to fit on said rear seats. Options galore, basic models if you can even call them that come with leather upholstery and cruise control. In 1992, this was the top of the range coupe in Mercedes-Benz line, and it stayed at the very top until 2014 where it was replaced by the S-Class Coupe. 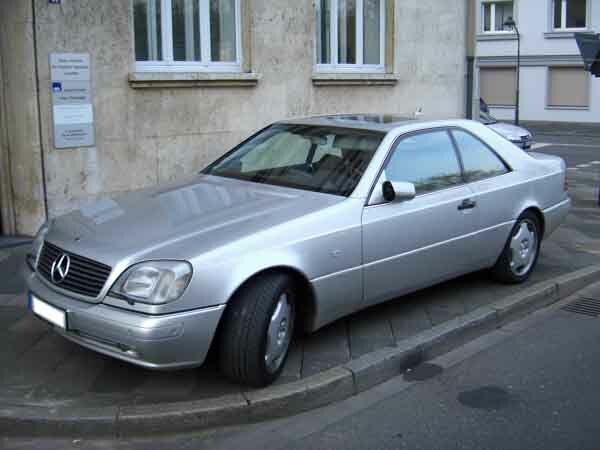 CL’s were full of luxury both inside and out and are based on the S-Class series line-up. Road rivals include: Aston Martin DBS, Bentley Continental GT and Ferrari California. As the renewed S-Class rolled off the production line, the CL-Class rolled out shortly afterwards with an identical body. Obviously, two doors were removed as this model is strictly a coupe. Basic options included leather seats, powered seats with memory, cruise control and media interface. Optional extras include soft-closing doors, Bluetooth options, memory seats, ventilated seats, sunroof, rear spoiler, parking sensors, reverse camera and various safety features. In its first generation, seven engine and models to match; CL 420 with a V8 4.2-litre, CL500 with a 5.0-Litre V8, CL 600 AMG/ CL 600 equipped with a 6.0-litre V12, CL 70 AMG powered by a 7.0-litre V12, CL 72 AMG driven by a 7.2-litre V12 and finally the CL 73 with a 7.3-litre V12. With the top level 12-cylinder motor, 532 horsepower in sent to the rear wheels. Top speed in this trim is estimated at 320 km/h! All engines are mated to a 4 or 5-speed automatic transmissions with the drive being sent to the rear. The last three of the seven are very rare cars and are rarely seen on the roads due to how many exist. All the models are surprisingly silent and easy to drive. Still following in the footsteps of the S-Class, the exterior received a refresh and headlights similar to the E-Class. The wheelbase is shortened by around 203mm. Active body control, active suspension and Xenon headlights now came as standard across the board as did parking sensors. Previous optional extras and standard features were retained for another generation with the massaging front seats being added to the list. Gone are the three 7-litre plus engines in this generation with the models and engines consisting of; CL500 with a 5.0-litre V8, CL 600 equipped with a 5.8-litre V12, CL55 AMG with a 5.5-litre V8, CL 63 AMG fitted with a 6.3-litre V12 and to top them all off is the CL 65 AMG powered by a 6.0-litre turbocharged petrol engine. In 2003, the CL 55 AMG had a supercharger added to its engine bay and the CL600 AMG had turbocharger mounted underneath the bonnet. 4-speed automatics were dropped and replaced with a 7-speed one instead with the 5-speed being retained. In its last generation, the CL-Class received a major overhaul with a sleeker exterior and interior. The external b-pillar is completely removed, and boot space increases to rival any sedan, Distronic cruise control is an optional extra as is night vision. In 2007, a special edition launched. Limited to just 40 units, this version of the CL 65 AMG commemorates the day AMG was founded. These models have a numbered badge near the COMAND controller, unique seats and roof lining. A special lick of paint is only available in this model. 2011 models received a facelift, with a new grille, headlights combining LED and Xenon, LED fog lamps, new bumpers and other bits. Improvements made underneath the bonnet and the interior. New features were added such as lane keep assist, night view plus, active blind spot detection and a new wooden trim. Some came as standard whereas others were extras, both the previous generation options are available. Four engine options are available in this generation; CL 550 with a 4.7-litre V8, CL 600 equipped with a 5.5-litre V12, CL 63 AMG powered by a 5.5-litre V8 and the CL 65 AMG returns driven by a 6.0-litre V12. All but the CL 550 are twin turbocharged. 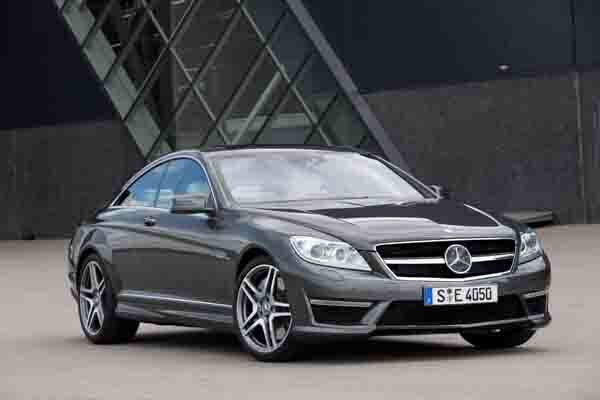 However, the CL 550 is the only one that comes with the all-wheel drive train. CL 63 AMG models have an optional Performance Package, which increases top speed, horsepower and decreases 0-100 km/h. Each engine is mated to a 5-speed or 7-speed automatic transmission powering the rear wheels.